Program for the Inaugural Recognition Dinner event on October 13, 2009 for the Nathan Manilow Sculpture Park at Governors State University. 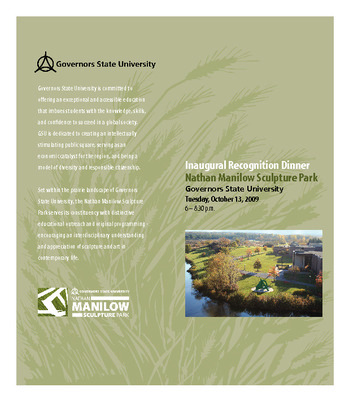 Event invitation for Inaugural Recognition Dinner on October 13, 2009 for the Nathan Manilow Sculpture Park at Governors State University. 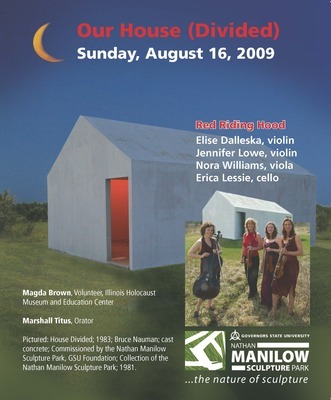 Program for Our House (Divided) event at Governors State University on August 16, 2009 featuring Magda Brown, Marshall Titus, and a musical performance by string quartet Red Riding Hood. 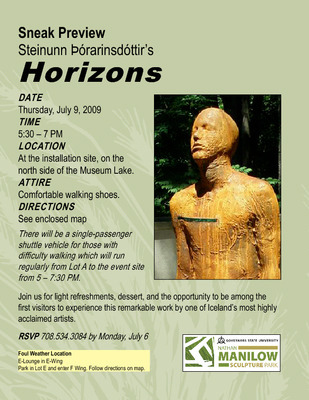 Flyer for a July 9, 2009 sneak preview event of Steinunn Þórarinsdóttir's Horizons installation at Nathan Manilow Sculpture Park, Governors State University. Postcard for August 7, 2009 event viewing of With These Hands exhibit at Tall Grass Arts Association, Park Forest, IL and the Horizons exhibit at Nathan Manilow Sculpture Park on the grounds of Governors State University. 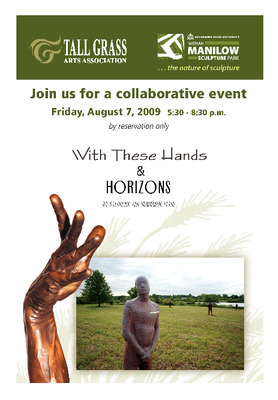 Event invitation for "Introducing a Museum in the Prairie" on August 23, 2008 which featured the first showing of Seth McClellan's video about the Nathan Manilow Sculpture Park at Governors State University. Ceremony invitation for Mike Baur's Sextant Yoke on November 18, 2008 at Governors State University dedicated in memory of professor James Harvey Hensley. 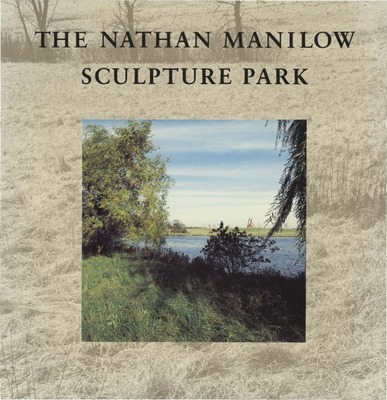 1987 book with descriptions and photographs of the outdoor sculpture located in the Nathan Manilow Sculpture Park on the grounds of Governors State University. 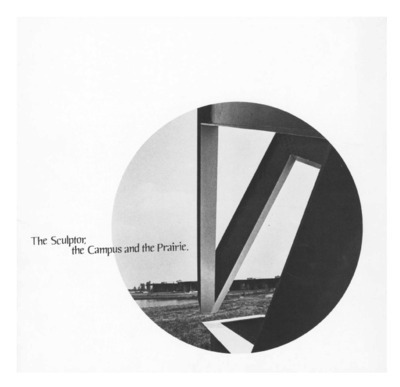 Exhibition book from "The Sculptor, the Campus and the Prairie" event in 1976 at Governors State University.